Some of the most influential brands within the catering equipment industry are preparing to exhibit at Commercial Kitchen 2018, which returns to the NEC Birmingham on 5-6 June. Over the past few weeks many more leading equipment manufacturers, suppliers and distributors – including Samsung, Bilge Inox, Cater-Bake, Creative Cuisine (sous vide products), Icebox Refrigerated Trailers, PRM waste, ADO Metal Drainage / Profboard UK, Colwick (commercial WEEE specialists), Chapman Ventilation, and Hallde (food preparation machines) – have joined the show’s stellar exhibitor line-up. Visitors can now view and search the initial exhibitor list – covering everything required to run, refurbish or build a commercial kitchen, including cooking equipment, refrigeration, storage, warewashing, waste management, ventilation, fit out and design – at www.commercialkitchenshow.co.uk/exhibitor-list. Big name highlights already include Unox UK, Panasonic UK, Welbilt UK, Meiko UK, Adande Refrigeration, Purified Air, Regale Microwaves, Cuisinequip, DC Warewashing & Icemaking Systems, Degafloor, Fire and Ice, Retigo, Roller Grill UK, Sterling Foodservice Design, Target Catering Equipment, True Food International, Univent Systems, and Viessmann Refrigeration Systems. “Whilst there are many great trade shows that focus on specific sectors, such as our sister shows Casual Dining and lunch!, for example, what makes Commercial Kitchen truly unique is that it brings together senior equipment buyers from every vertical sector, from all types of kitchens – from top-end Michelin starred restaurants to pubs, bars, branded restaurant chains, cafés, schools and hospitals,” says Katie Tyler, Commercial Kitchen’s event manager. “This doesn’t just make it very effective for exhibitors but, crucially, also much more appealing for visiting decision makers. For them, whether they’re buying on behalf of Sainsbury’s, Greene King, AB Hotels, TGI Fridays, Compass Group, Birmingham City Council, or Taunton & Somerset NHS Foundation Trust – it’s their best opportunity of the year to see what’s new and compare the latest products from the best market-leading brands in one visit, at one dedicated show,” she says. Commercial Kitchen returns to the NEC Birmingham on 5-6 June 2018. Show features include a free two-day seminar programme, the Innovation Challenge Awards, and CEDA Awards Gallery. 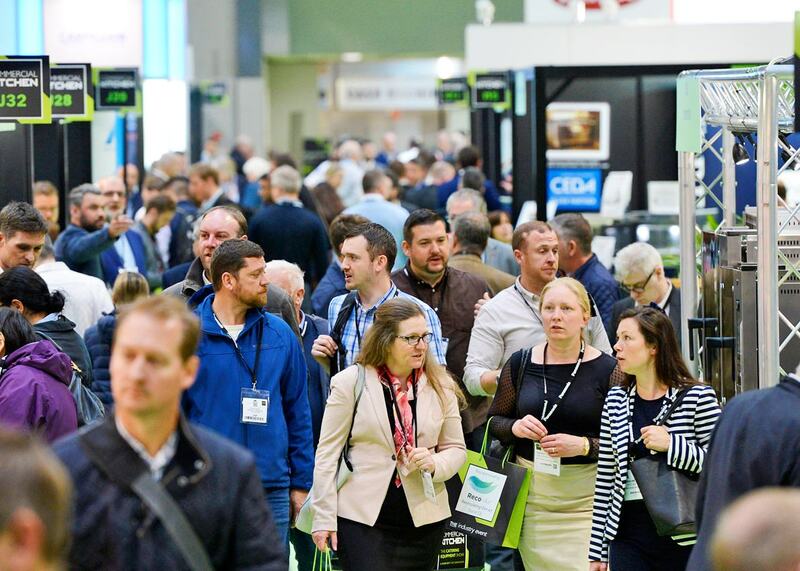 As in previous years, the show’s expert seminar content will cover key themes that focus specifically on the kitchen or back of house, including equipment innovations, technology, procurement, design, efficiency, and best practices. There will be dedicated sessions hosted by CEDA and The Foodservice Consultants Society International (FCSI) – the show’s lead partner and association partner respectively.